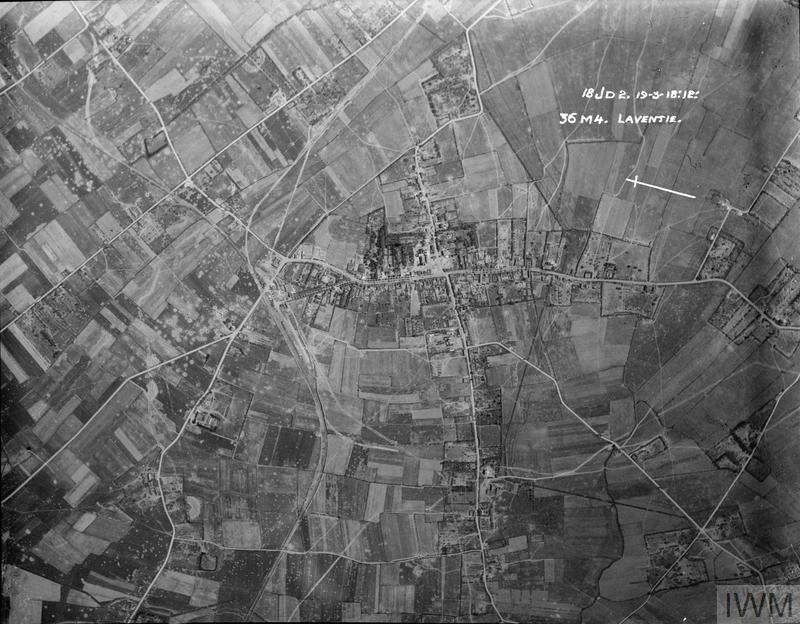 Laventie and La Gorgue are adjoining towns. Laventie Military Cemetery is on the north-east outskirts of Laventie. From Laventie, head north out of the town on the D166. Approximately 1 kilometre along this road turn right at the first junction and follow the small road for 400 metres. 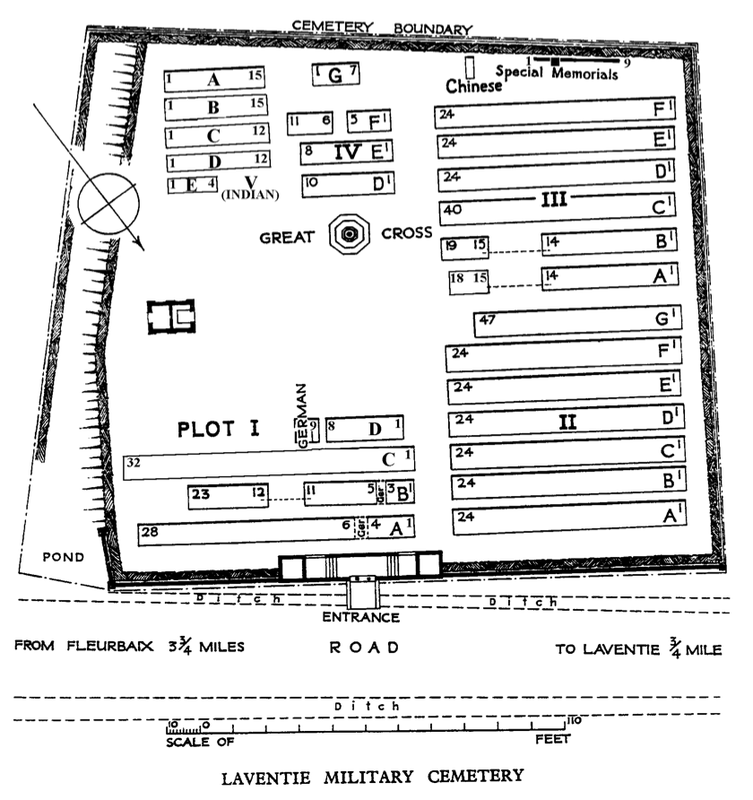 The Cemetery is on the right hand side. Wheelchair access to site this possible, but maybe by alternative entrance. 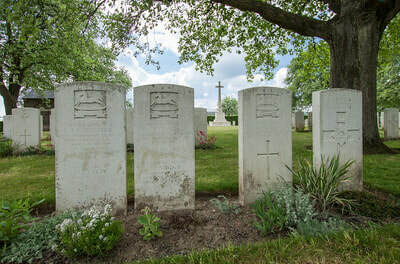 The men of the 61st (2nd South Midland) Division of the British Army began burying their fallen comrades at this site in the latter half of June 1916. 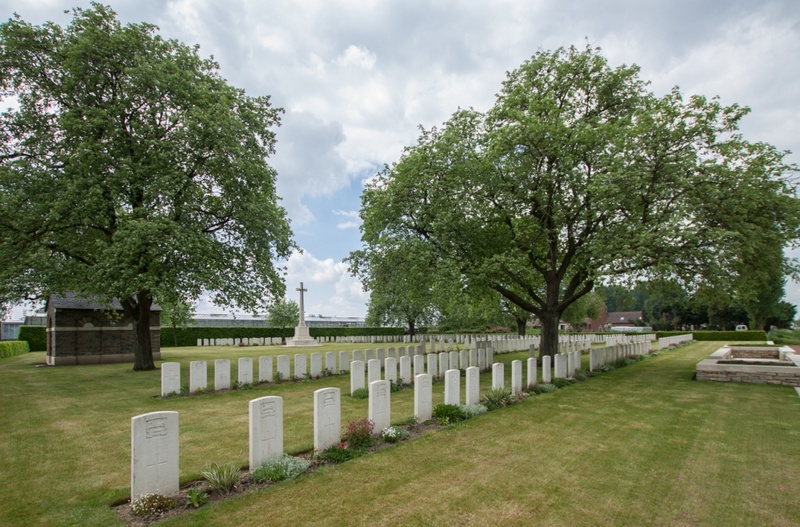 Over 80 members of the Division who were killed or mortally wounded during the Battle of Fromelles (July 19 1916) were laid to rest here, and the cemetery was used by British units holding this part of the line throughout 1916 and ’17. From June 1917 until April of the following year, the cemetery was also used by the Portuguese Corps. 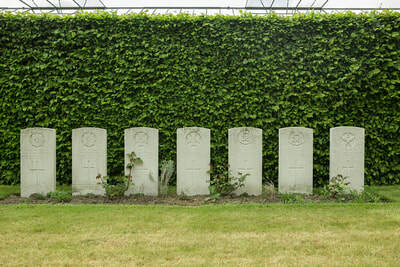 After the Armistice, the remains of over 170 Portuguese soldiers were removed and re-interred at the Portuguese National Cemetery at Richebourg L’Avoué. 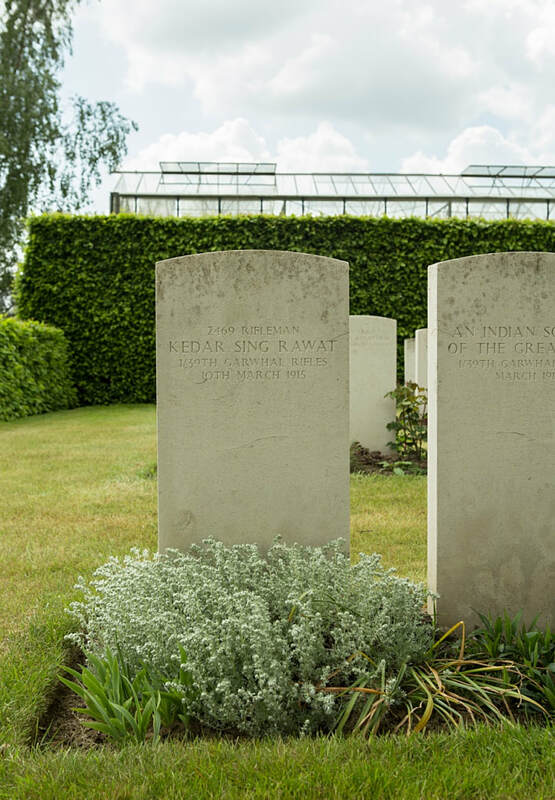 During the 1920s, the graves of British, Indian, and Chinese servicemen killed at different stages during the war were brought here from the surrounding battlefields. There are now almost 550 casualties of the First World War buried or commemorated at Laventie Military Cemetery. 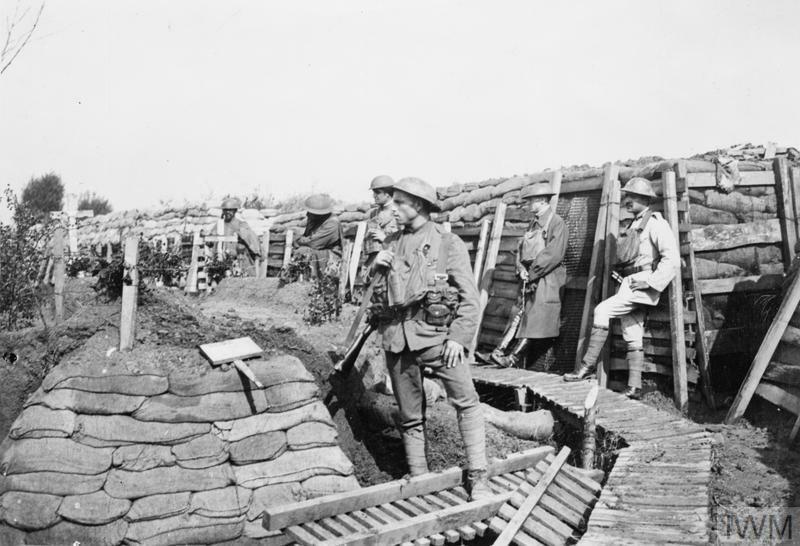 The 61st Division was a second-line Territorial formation raised in Northampton in January 1915 as a reserve for the first-line battalions of the 48th (South Midland) Division. 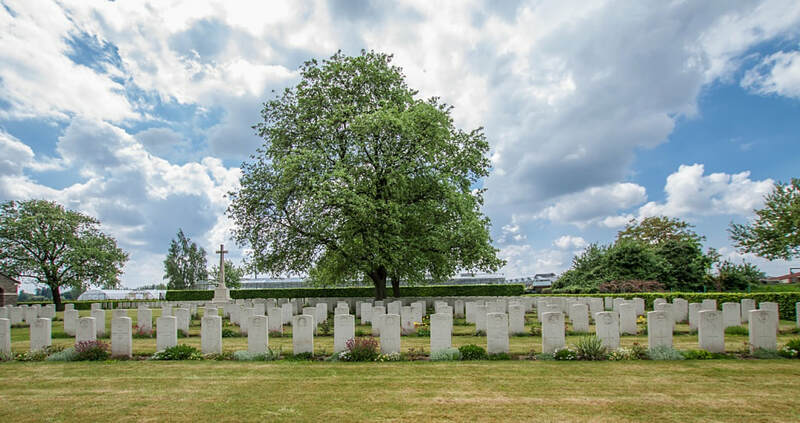 The men who volunteered for service with the division when it was first formed hailed mostly from Birmingham and the towns and villages of the Malverns, the Cotswolds and the Chilterns. 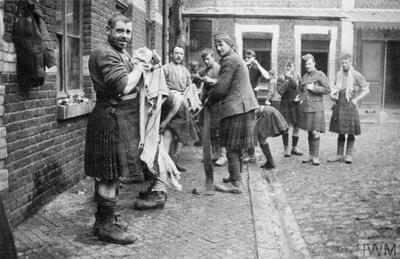 The units they joined included newly formed battalions of the Royal Berkshire, Royal Warwickshire, and Gloucestershire regiments, as well as the Oxford and Buckinghamshire Light Infantry. After spending over a year carrying out home defence duties in England, the division was deployed to France at the end of May 1916 and ordered to the village of Laventie, which was then just a short march from the front-line and within range of German artillery. 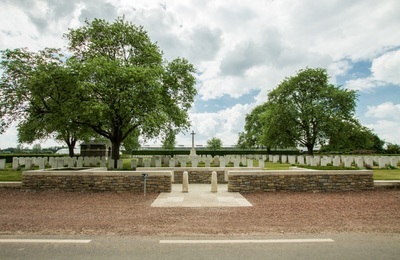 This sector of the front had been the scene of very heavy fighting during the Battle of Aubers Ridge just over a year before but was now considered relatively quiet and a good place to introduce inexperienced troops to trench warfare. 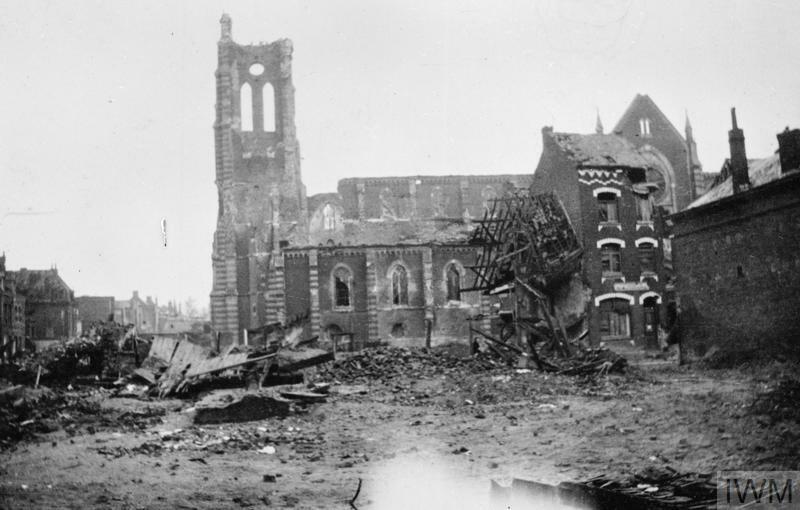 During their first month at the front, the battalions of the 61st Division took part in no less than eight raids on German trenches and suffered numerous casualties. The German soldiers on the other side of no man’s land belonged to the 6th Bavarian Reserve Division, and had occupied the line around the village of Fromelles since March 1915; these were seasoned troops who were well prepared to defend their positions. 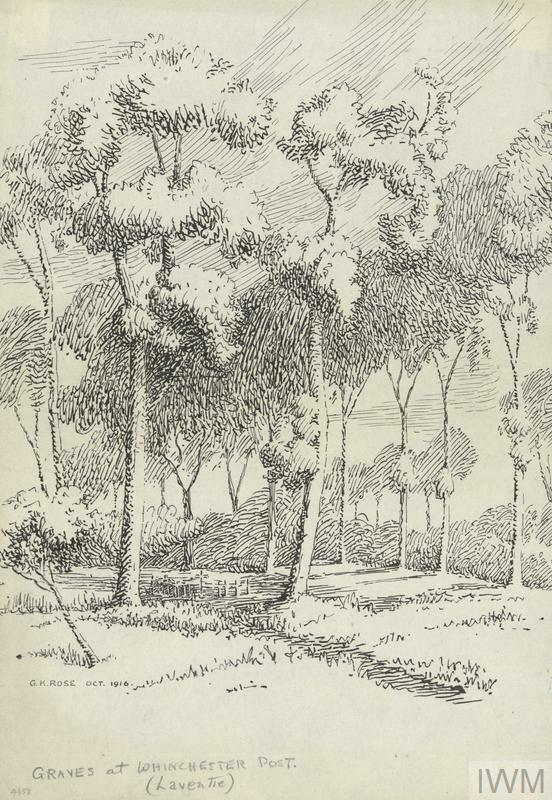 The first full-scale engagement between the Bavarians and the British came on the evening of 19 July 1916, when the brigades of the 61st Division joined those of the 5th Australian Division in a major attack on the enemy positions along Aubers Ridge. The main thrust of the attack focused on the Sugarloaf Salient, a heavily reinforced sector of the German line in front of Fromelles. 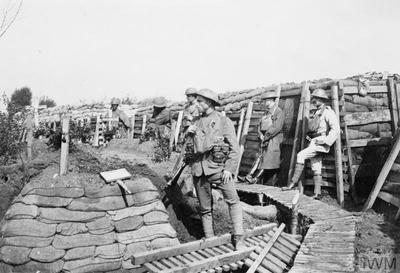 The British troops were tasked with storming the right flank of the salient while the Australians advanced on the left. 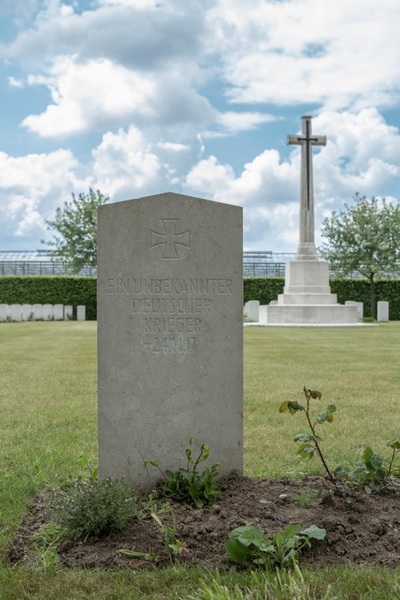 The distance between the British and German trenches was as much as 400 yards at certain points and many of the English infantrymen came under heavy machine-gun fire as soon as their left their own lines at 6 pm. Some units of the 61st Division managed to advance as far as the enemy wire, but no British troops succeeded in entering the German lines. 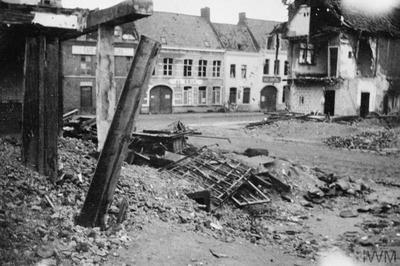 The Australian units fared better at first, managing to capture sections of the German front-line, but suffered enormous casualties in the face of fierce counter-attacks. 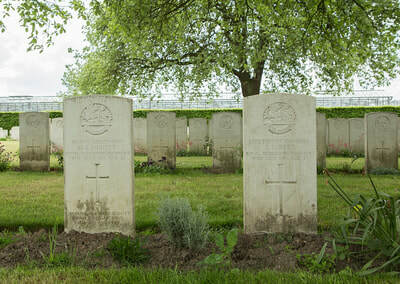 The Battle of Fromelles ended on the morning of 20 July as the few remaining Commonwealth troops returned to their trenches. 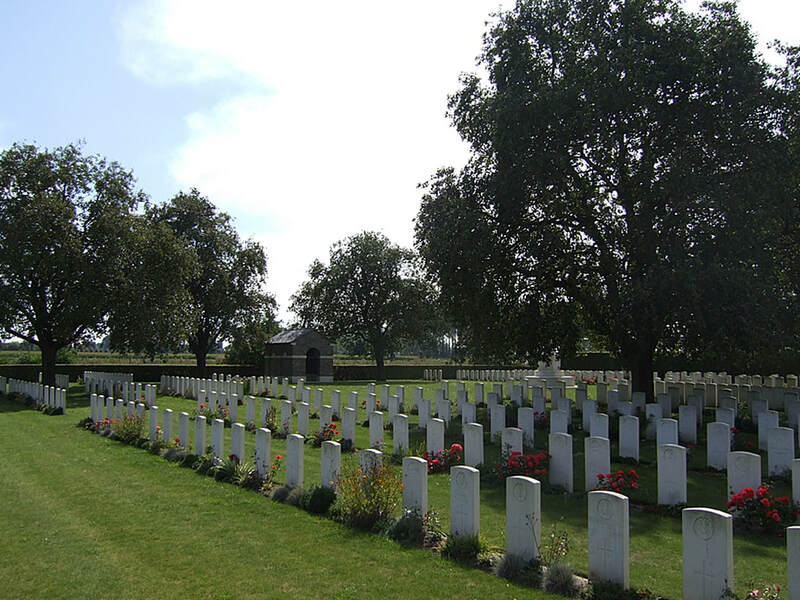 In the first few hours of the attack, over 1,500 men of the 61st Division had been killed or wounded. 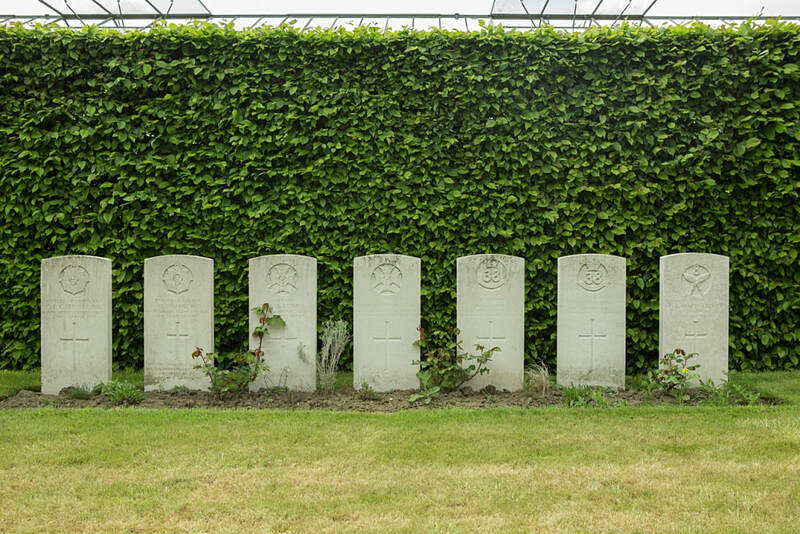 Casualty Details: UK 468, Australia 5, India 71, Germany 3, Total Burials: 546. 16th July 1916, aged 28. 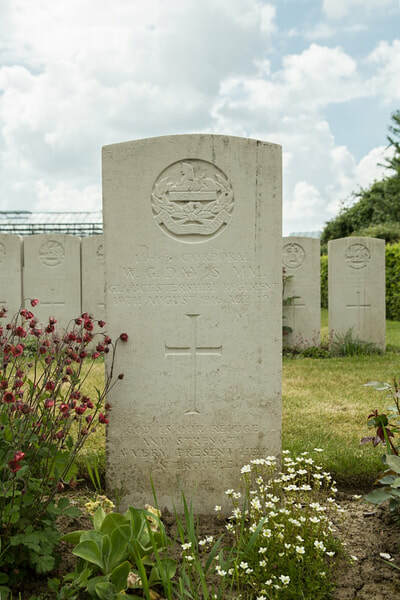 Husband of Emma Bateman, of 12, Holden Park Rd., Southborough, Kent. 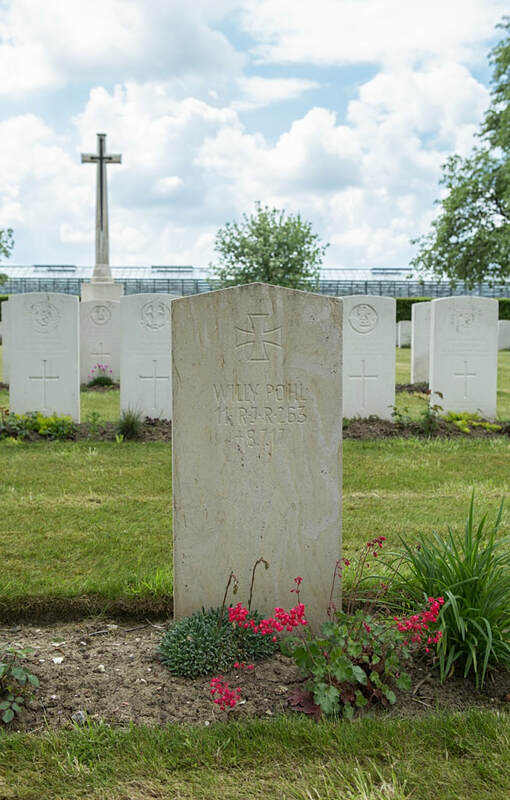 ​His headstone bears the inscription; "Ever In Our Thoughts." Son of John Brodie, of 15, Woodward Avenue, Quincy, Mass., U.S.A.
19th July 1916, aged 23. Son of James and Maria Cater, of 13, Ashell, Thetford, Norfolk. His headstone bears the inscription; "Loved By All." 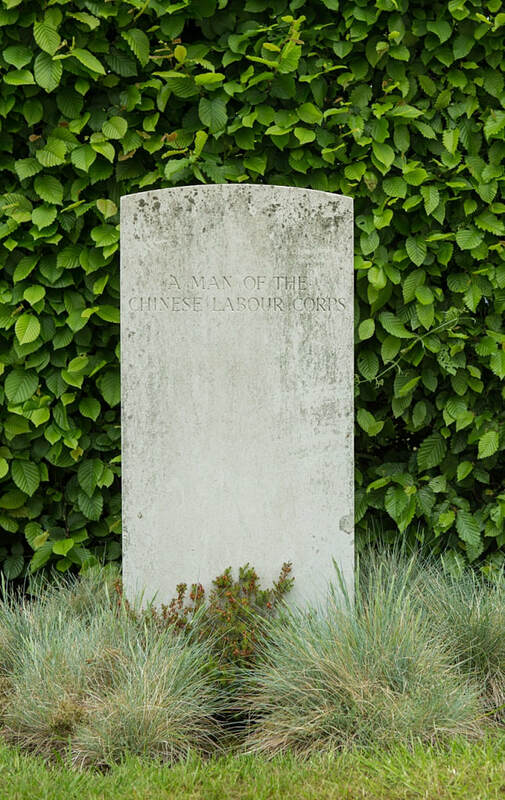 "Never forgotten by the younger generations of his family." Picture courtesy of Mary McLaughlin (nee Cater), great niece. 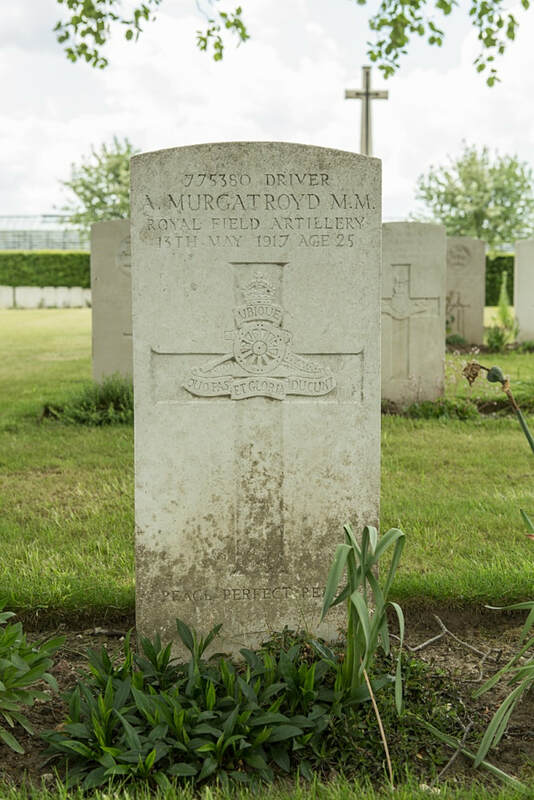 19th July 1916, aged 29. His headstone bears the inscription; "Sadly Missed." 5th July 1916, aged 26. Son of M. A. and S. J. Flook, of "The Gardens," Soundwell, Bristol. ​His headstone bears the inscription; "Another Gem In The Saviour's Crown Another Soul In Heaven." 5th July 1916, aged 36. Son of Samuel John and Laura Rosetta Hannam, of Bristol; husband of Edith Margaret Hannam, of Belle Vue, Long Ashton, Bristol. ​His headstone bears the inscription; "A Man's Immortality Lies In The Hearts Of His Friends." 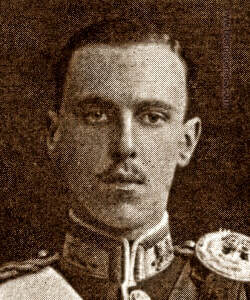 20th January 1917, aged 25. Son of John and Louisa Leech, of 44, Tanfield Rd., Croydon, Surrey. His headstone bears the inscription; "With Christ Which Is Far Better." 14th July 1916, aged 23. Son of George and Martha Manning, of 16, Exeter Rd., Bedminster, Bristol. ​His headstone bears the inscription "Not Dead To Those Who Loved Him, Not Lost, But Gone Before." 14th October 1918, aged 24. 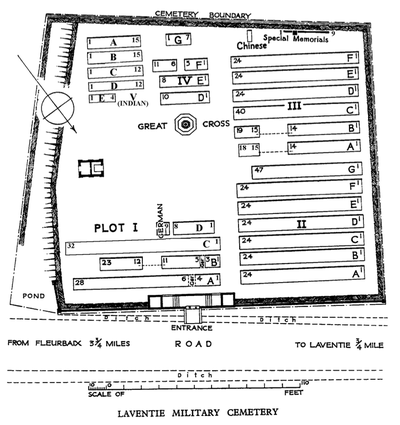 Son of John Alexander and Jane McKeown, of Watton St., Werribee, Victoria, Australia. Born at Romsey, Victoria. Lex McKeown originally enlisted on 16 February 1916 as a Private (5786) with the 7th Battalion and embarked from Melbourne aboard HMAT Ayrshire (A33) on 3 July 1916. 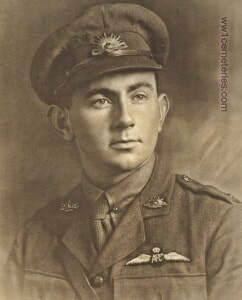 He transferred to the Australian Flying corps (AFC) on 4 November 1917 and attended No 1 Royal Flying School in England. On 21 January 1918 he was promoted to second Lieutenant as a co-pilot. 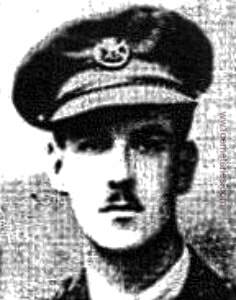 On 25 June 1918 he returned to France as a pilot and on 6 September 1918 he was promoted to Lieutenant. He was killed in action in France on 14 October 1918, aged 24 years. 19th July 1916, aged 21. 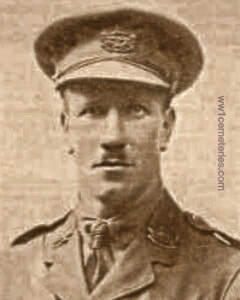 Son of James and Jeannie Ratcliff-Gaylard, of "The Lindens," Hemel Hempstead, Herts. 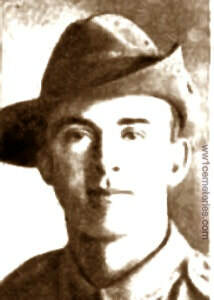 His brother Private Cecil Charles Alexander Ratcliff-Gaylard also fell, he served with the 2nd Bn. Australian Infantry and is commemorated at the Lone Pine Cemetery. 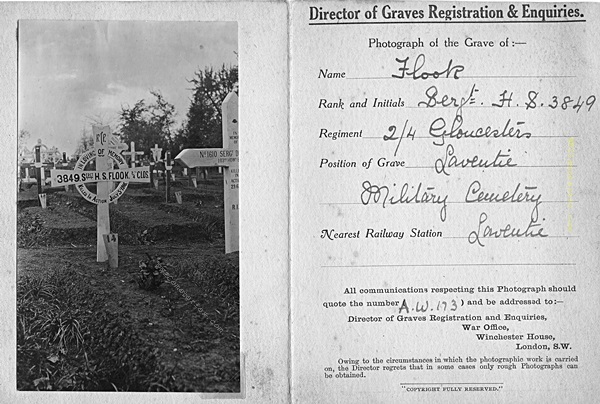 19th October 1914, aged 25. Son of Capt. W. W. Sandeman, M.B.E. (late 2nd Seaforth Highlanders), and Mrs. I. E. Sandeman, O.B.E., of 14, Second Avenue, Hove, Brighton. His headstone bears the inscription; "Son Of Capt. W.W. Sandeman M.B.E. Seaforth Hrs. & Mrs. I.E. Sandeman O.B.E." 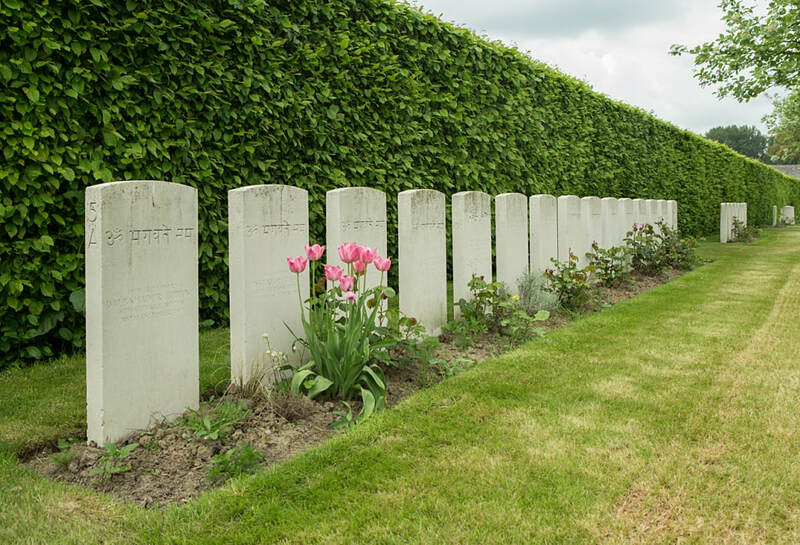 Arthur Edward Stephens, M. M.
17th July 1916, aged 22. 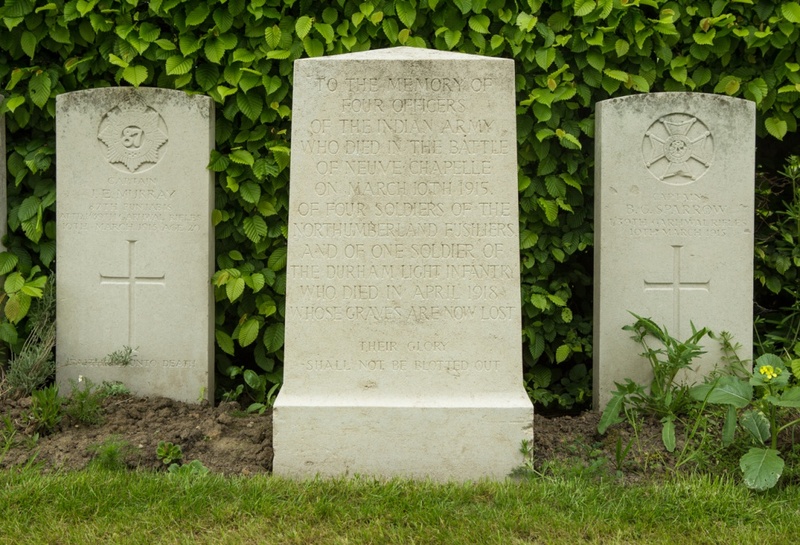 Son of Thomas George and Grace Stephens, of 4, St. Leonards, Bodmin, Cornwall. His headstone bears the inscription; "Though Death Divides, Fond Memory Clings." 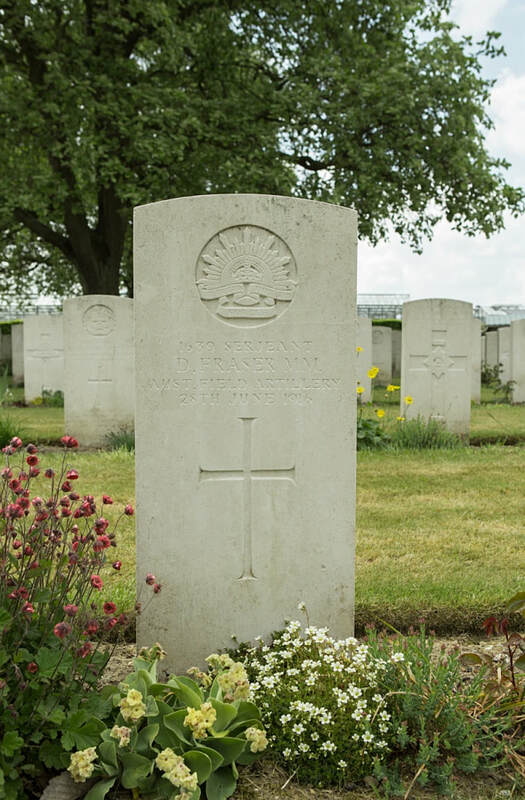 5th September 1916, aged 20. 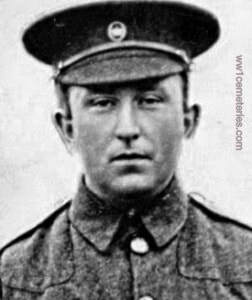 Arthur attended Burton-on-Trent grammar school and was quite a musician, he later attended Saltly College Birmingham and there joined the Territorial Army and then was called to the front. 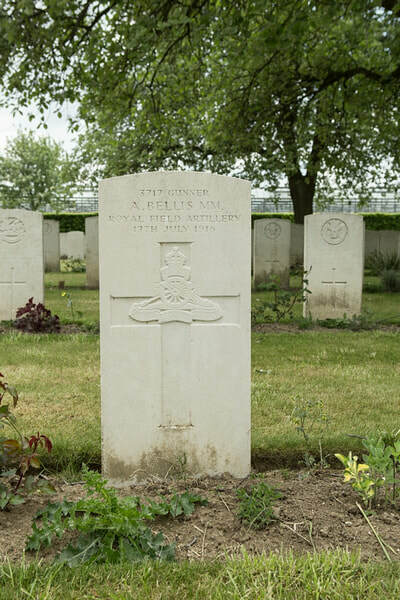 He was the son of Mr. and Mrs. Topliss, of Rolleston, Burton-on-Trent, Staffs. His headstone bears the inscription; "Thy Will Be Done."